A very strong follow-up to our delicious 2012 Connor release – in a similar vein but perhaps has an edge in the depth of fruit on offer. The wine vividly displays the purity of fruit that these deep sandy soils provide. 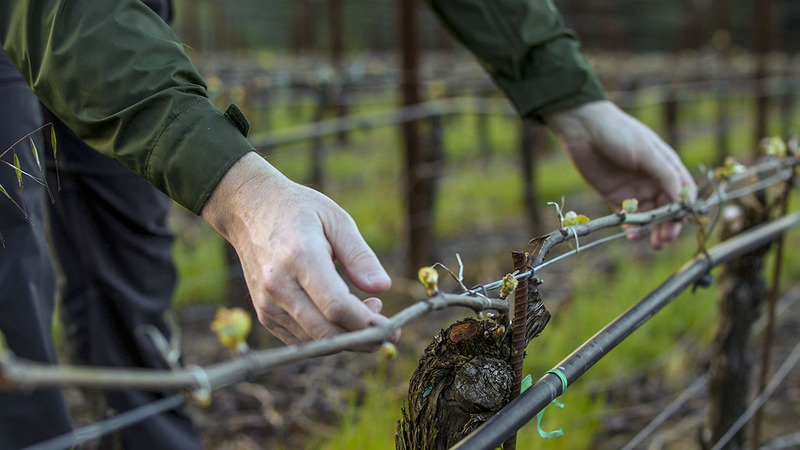 The wine is lighter bodied than our other Pinots as there’s very little clay in these coastal soils, but what it lacks in density, it makes up in fragrance and elegant complexity. The wine’s concentration comes instead from mature vines and precise farming to moderate yields. It’s very lively on the palate with layers of ‘baby-fat’ fruit but with time in the glass the palate firms-up, the fruit extract recedes into the wine and allows the vineyard’s true mineral nature to assert itself. The bottle’s final glass is its most complex and rewarding, hence the preference to decant if possible. With air the length of the wine is meaningfully extended and the youthful structure unfolds. A deliciously pure expression of coastal Pinot and one that will improve in bottle for six to eight years. Lovely brilliance in the glass. Explosively aromatic: bright red cherry, tangy orange zest, minerals and thyme. Darkens to black fruit with air, fragrant and spicy. Fruit forward palate entry, core of fresh cherries and raspberries, supple and layered. Plum then blackberry take hold, delicious purity. Cedar and sandalwood edge with anise. Good fresh acid lifts and extends finish. If possible decant for an hour before serving. Drink between 2016 and 2021.